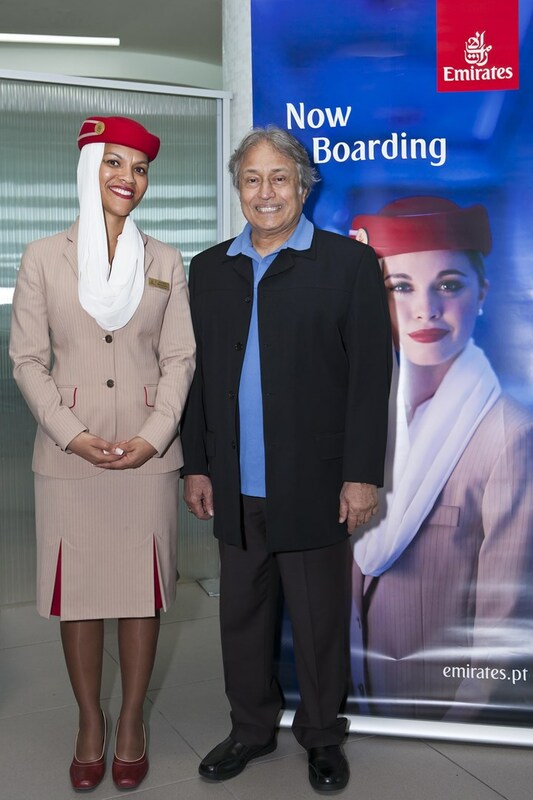 Celebrated Master of the Sarod , Amjad Ali Khan boards flight EK192, Emirates' daily route from Lisbon to Dubai to play live tonight at The Score's concert at Madinat Theatre at Souk Madinat Jumeirah. Dubai. Greeted by members of Emirates Cabin Crew, Amjad Ali Khan, accompanied by his sons, Amaan Ali Khan and Ayaan Ali Khan, gets ready to inspire audiences in the UAE with his passion for the traditional Sarod. The international classical series, The Score, honors the very best of Indian classical music by bringing Amjad Ali Khan for his first public appearance in Dubai. In a career spanning over 50 years, Amjad Ali Khan has single-handedly elevated the Sarod to one of the most popular traditional instruments in Northern India. Taught by his father, the legendary Haafiz Ali Khan, he is the sixth in an uninterrupted lineage of music masters known as the Senia Bangash School. Winner of Padma Vibhushan, the highest Indian civilian award, Amjad has begun another glorious chapter in the history of Indian classical music. Amjad Ali Khan is live in concert tonight at Madinat Theatre at Souk Madinat Jumeirah from 7.45pm. Limited tickets are available from www.madinattheatre.com. Tel: +971 4 366 6546.